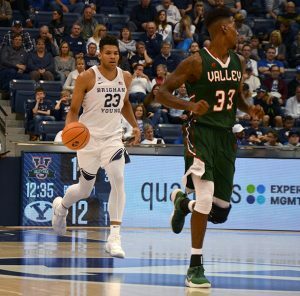 Poise and patience led the BYU basketball team to perform how they practice in the season-opener against Mississippi Valley State. It’s those fundamentals the Cougars can credit for topping the Delta Devils 91–61 and starting off the season 1–0. In the second game of the week where all 11 players spent time on the floor, the Cougars cut back to 9 turnovers, improved to 20 assists and shot 58.9 percent from the field. Team captain Elijah Bryant found a rhythm from behind the arc, going 6-of-7 in 3-point attempts. Bryant ended the night not only with 27 points and 6 rebounds, but he set a school record for field goal percentage in a season-opener with 10 of 11 (90.9 percent). 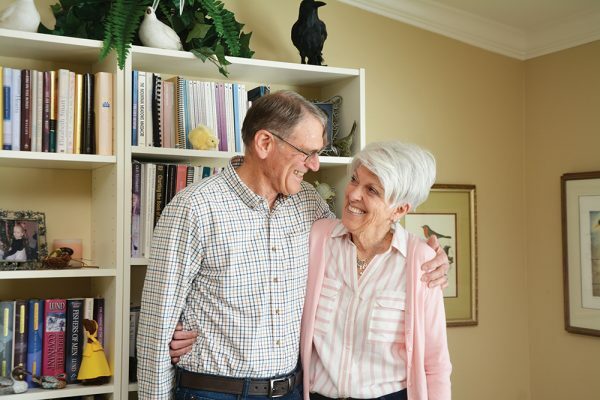 This topped the former record held by Mike Gardner, who scored 11 of 13, shooting 84.6 percent, at Oregon in 1962. Rose was enthusiastic about Bryant’s performance, applauding Bryant’s patience and aggression. 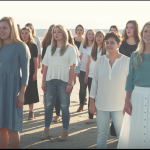 But Rose hopes that BYU basketball won’t have one shining star this season. Thus far, the scoring leader has changed from game to game. 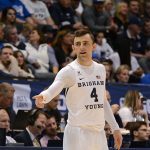 Earlier this week, BYU sophomore Zac Seljaas led the Cougars in scoring against Colorado College. 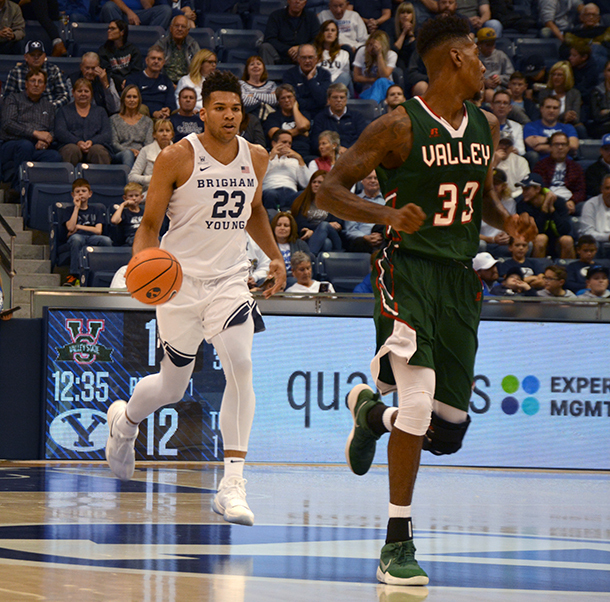 In the first home exhibition game on Nov. 1, BYU sophomore Yoeli Childs led the Cougars with 25 points and 14 rebounds against Westminster. And BYU’s players are taking on new roles every night. Even BYU sophomore Yoeli Childs, a consistent double-double machine, switches roles. 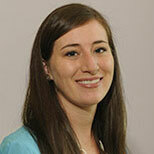 Childs, a dominant scoring force, had more assists until six minutes into the second half. He led the Cougars in assists with 6 assists; then he topped it off with a double-double — 13 points and 10 rebounds — and 5 blocks. 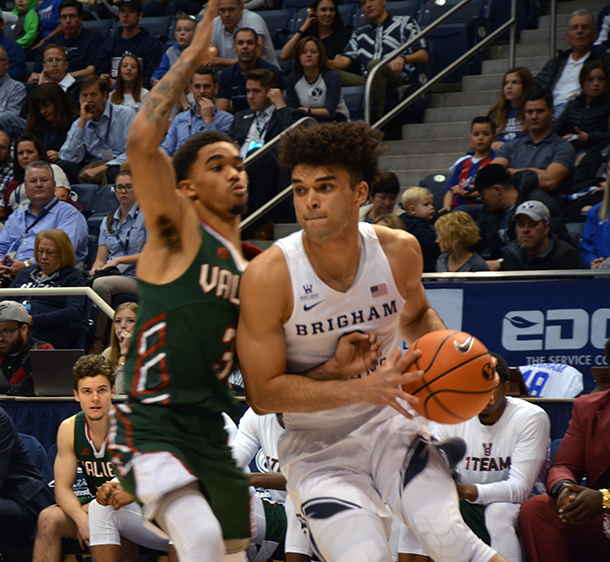 Other key contributors on the night included BYU sophomore TJ Haws who tallied 14 points and 5 assists as well as Seljaas who scored 11 points. BYU next travels to Princeton on Wednesday.